Three quarters (74%) of what drivers pay for diesel at the pumps now ends up with the Chancellor. It has hovered around this level since the start of the year having previously not been so high since April 2004. For petrol the proportion is also 74%, the highest percentage since January 2009. Fuel duty – levied at a flat rate of 57.95p a litre. The rate has been the same since 2011. VAT – levied at 20% on both the underlying price of the product and the fuel duty. The revenue received by the Chancellor from fuel duty has been increasing. In calendar year 2015 fuel duty income was £27.4 billion. This was £0.3 billion more than in 2014, a result of more road fuel being sold. VAT receipts from road fuels have fallen over the past couple of calendar years (see table below), however Mr Osborne received total VAT income of £113.8 billion in 2015, up £4.4 billion on 2014. Pump prices have fallen significantly in the past 18 months because of a reduction in the price of oil. In June 2014 a barrel of Brent crude cost as much as $115. In January this year it got as low as $26 and is now trading at around $35. In 2014 the average price of petrol was 127.4p per litre. For diesel it was 133.5p per litre. In 2015 the average price of petrol was 111p per litre. For diesel it was 115p per litre. Last week the average price of petrol was 101.4p per litre. For diesel it was 101.4p per litre. “It is true motorists have benefitted recently from falling oil prices but the biggest driver of what we pay at the pumps is not OPEC or the big oil companies but the Chancellor. “In the unlikely event fuel retailers wanted to give petrol and diesel away for free they couldn’t. 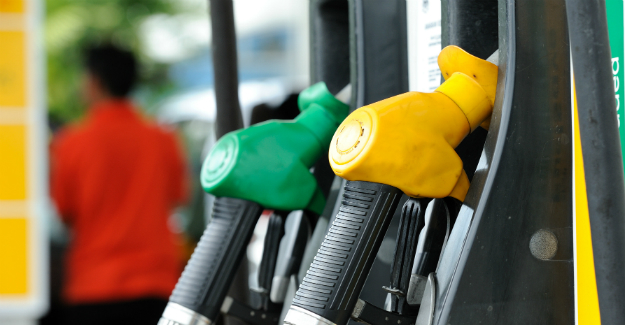 Motorists would still pay 69.5p a litre on the forecourts: 57.95p in fuel duty and 11.6 p in VAT. “Three quarters of the forecourt prices paid by motorists goes straight into the Treasury’s coffers.